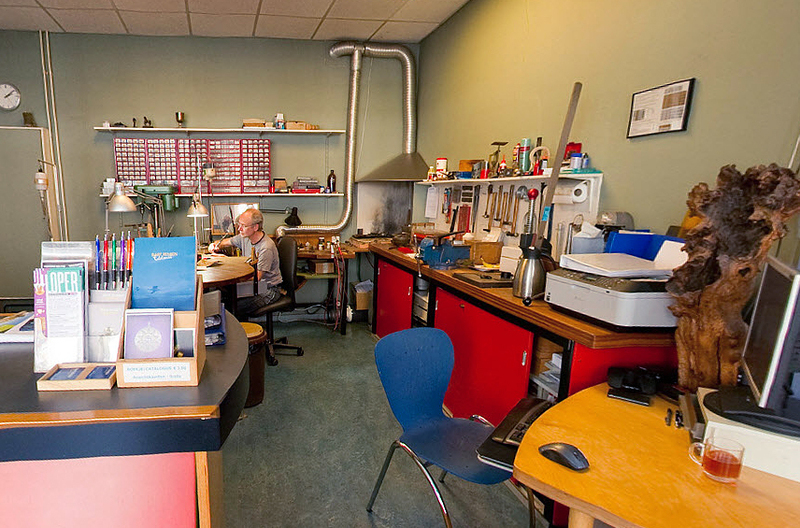 Goldsmith, I successfully completed the training Goldsmiths in 1980 at the Vocational School in Schoonhoven, with an additional year Silversmiths. The Goldsmiths focuses on jewelry, the more sophisticated work. With Silversmiths means the hammer technique, which allows larger work, such as bowls, teapots, vases and art objects, often driven from a single piece of silver. During my internship experience in the restoration of antique silverware. After this period I have built my own collection and exhibited. In 1989 started the shop in the city of Breda. 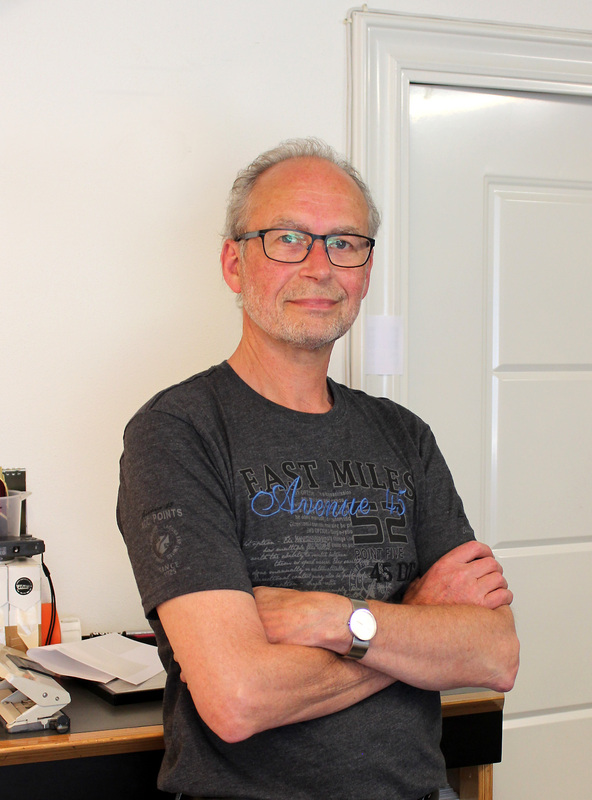 Moved by July 2014 to Tiel (after 25 years). No longer as a shop, but mainly as a webshop. Currently we have so much work through the webshop, that we make no personal orders anymore. However, existing models can be adapted on request. For memorial jewelry and wedding rings it is always possible on personal adjustments. We also continue to make new models, to expand our symbols collection. Working with materials such as gold, silver and precious stones, continues to inspire me and buoys. It starts with an idea, a sketch, visualizing the technical construction and preparatory work, such as the casting of the right material, a plate or a wire of the correct thickness. An original idea into a tangible form is a piece of magic ... every time for me to make the invisible visible, and it is that I still enjoy my daily work after all these years. When I see at the end of a long process, there is a gorgeous piece of jewelry is for me, what came out of my hands, then the end result is often surprising to me. Below a 3D representation of the atelier/shop as it was in the St. Annastreet in Breda. Nice to still just be able to look back on the period Breda (1989-2014). Click on the picture below!